Do French People Eat AT McDonald's? Fast Food In France! Do French People Eat AT McDonald’s? Fast Food In France! >> Do French People Eat AT McDonald’s? Fast Food In France! You might be surprised to learn that France, a country and a people known by most of the world for their fancy gourmet food and superior eating habits love their fast food and McDonald’s Big Macs (“Le Royal Cheese “in France) but just how much do they love it compared to the rest of the world? I don't know who was more shocked! I could hardly believe it. Every single one of my circle of mommy friends in France took their kids to eat at McDonald's. The best part was that my French girlfriends were shocked to learn that our then 5-year-old daughter had never eaten at a McDonald's. She didn't even know who Ronald McDonald was. 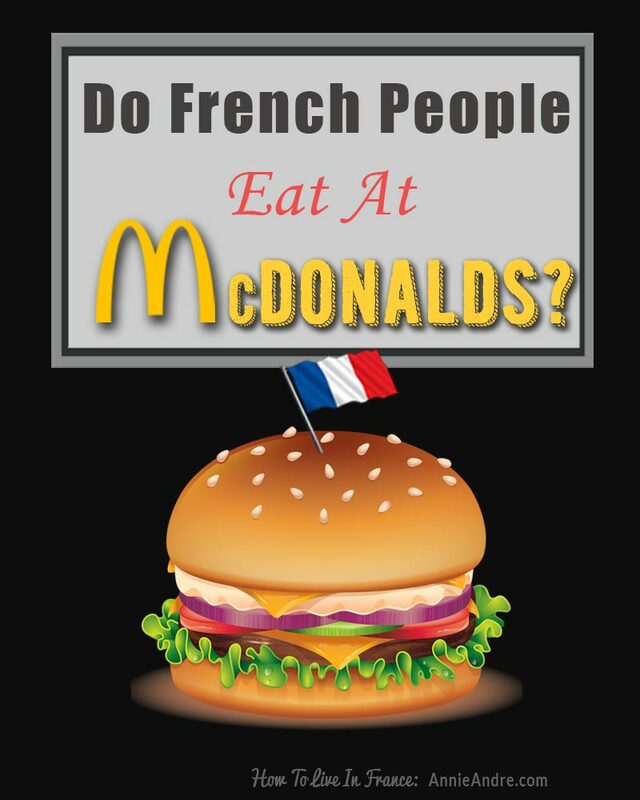 They just assumed, as most French people do that all North American's eat McDonalds and fast food on a regular basis. Do the French really love Mickey D's? Our daughter's first foray into fast-food was when her schoolmate Enzo invited her to one of those all inclusive birthday parties at McDonald's in Le Pradet France. It's where you pay a set fee (11 Euros at the time) per child and the kids each get a happy meal, desert and then get to play in the outdoor play structure for around an hour or so. It's cheap and convenient. Out of 13 kids, Catherine was the only one who didn't know what a happy meal was (pronounced "Appy Mill" in French) but she learned real fast. Everything was undone with that first bite. Between the toy and the treats included in the paper happy meal box, she was hooked before she even took her first bite into the fast food industry. My two sons who were teenagers at the time, faced similar pressures from their friends who constantly wanted to eat at McDonald's or Dominos. My eldest son resisted for the first 3 or so years but my middle child caved right away. I knew I couldn't do much about this peer pressure and I suppose they would have eventually done the same thing had we lived in the US or Canada. I guess I naively thought that ALL French people were above eating at McDonald's. Silly me, I know better now. McDonald's far reaching hand knows no borders. 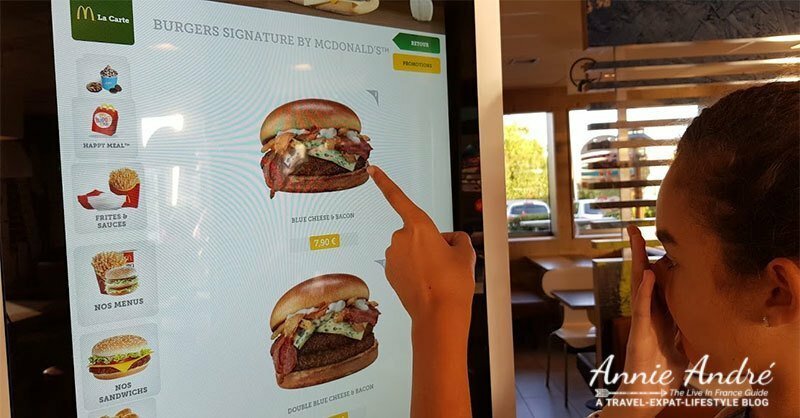 Mcdonald's in France is much more popular than the world thinks. The French are not always this perfect picture of fine dining and gourmet food. Relax, traditional French eating habits are alive and well in France. I'm in no way saying French people have bad eating habits but the French as a nation really do enjoy McDonald's. They also enjoy pizza and fries. The book "French Kids Eat Everything" by American mom and author Karen Le Billon is one of many books which puts ALL French eating habits on a pedestal. In her book, Karen not only puts all French eating habits on a pedestal, she also talks about how she cured her kids picky eating by adopting more French eating habits and attitudes. She forgets to mention though that French kids love fast food, especially McDonald's. It's no wonder the world thinks French people have superior eating habits all of the time. 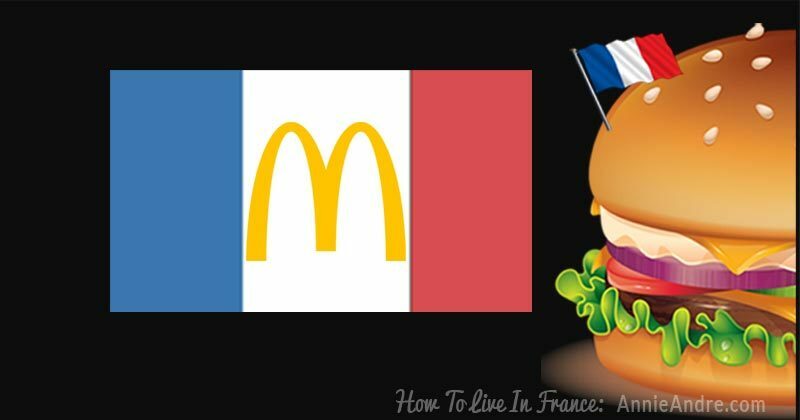 How popular is McDonald's in France compared to the US and the world? I set out to discover exactly how popular McDonald's was in France and discovered that the US had the most McDonald outlets in the world. No surprise there. Over 14K as of 2013 while France had only 1,300. Pretty big difference however it's not a fair comparison. France is roughly the size of Texas so comparing 14K US outlets in the US which has a population of over 315 Million people vs. 1,300 outlets in France with a population of almost 65 million is not meaningful. I needed to figure out how many McDonald outlets there were per capita (per 1,000,0000 people). My suspicions were confirmed, French people love their McDonald's. France has the 5th most McDonald's per capita in the world. (20 McDonald's outlets per 1 million people). Maybe not as much as America which had 44 McDonald's outlets per 1 Million people but considering the US opened its first outlet 30 years before the one in France opened, the French are catching up fast. The US , Canada and Australia are almost neck and neck with 44, 40 and 39 outlets respectively per capita. Then the number drops by almost half to 23 for Japan and finally 20 McDoâ€™s (as the French call them) for France until we reach the 10th country which is China. China has a mere 1.5 outlets per 1 Million people. See chart detail below. for data collected. How popular is McDonald's compared to the rest of Europe? Today, I still try to avoid Mcdonald's but I'm not going to lie, we do go every once in while. Go ahead and judge us if you like. It's just the way it goes when you have kids, even in France. Check out Catherine below looking at the new blue cheese & bacon burger at McDonalds. Blek! From animal cruelty to chemical additives in McDonald's meat, it's eye opening. Never mind all the tax shelters and other unethical things going on in the McDonald's corporate giant. That book was the tipping point in my decision to leave fast food behind - or so I thought. 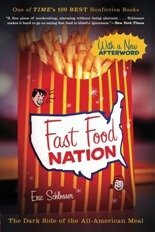 The kid's version of the Fast Food Nation book is called â€œChew On This: Everything You Don't Want to Know About Fast Foodâ€ . Read it with your kids.